Journalist, former magazine editor, bestselling author of MWF Seeking BFF, and mother of two Rachel Bertsche goes on a search for happiness, friendship, and renewed romantic and personal passions once The Kids Are in Bed. ** ** Picture it—it’s 8:30 p.m. You close the door to your child’s room just as you hear your partner closing the dishwasher. Your home is clean (enough). You’ve dealt with all the last-minute work emails. And now it’s time for an hour or two of glorious freedom. What do you do? Read the book you’ve been waiting to crack open all day? Take a ride on your new spin bike? Chat on the phone with a friend, glass of wine in hand, or go out and meet old friends and share a whole bottle? Or, like many modern parents, do you get caught up in chores, busywork, social media black holes, or whatever mindless TV doesn’t take much effort to cue up? Recent time-use studies show that even working parents have as many as 30 hours of leisure time a week, yet very few people know how actually use that time to do something—or anything—pleasurable and fulfilling. 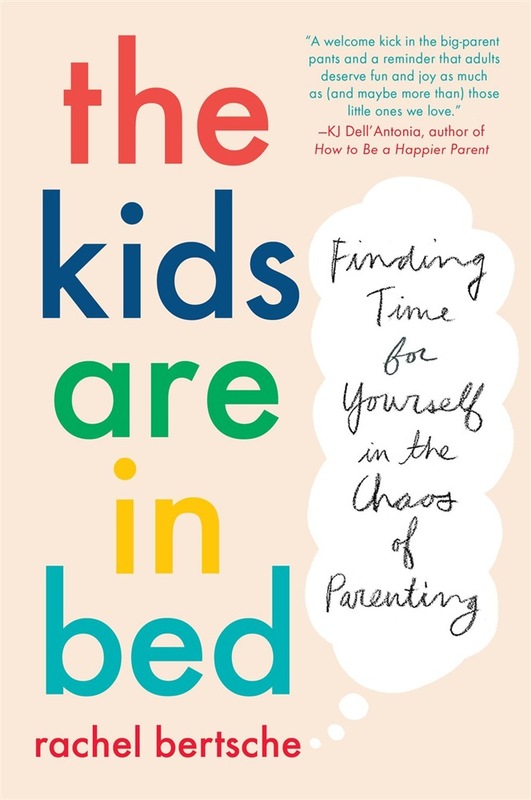 In an original survey conducted for this book, 71 percent of parents said their free time didn’t feel free at all, because they were still thinking about all the things they should be doing for their kids, their jobs, and their households. Rachel Bertsche, parent to two kids under six with a full-time job, constantly found herself in that exact situation—feeling like she had no real leisure time, and totally disconnected her from the person she used to be. But she was determined to change that. Using a combination of memoir, journalistic investigation into what scientists and parenting experts had to say, and interviews with moms and dads all over the country, Rachel figured out what’s keeping parents from connecting to their real adult selves in the early years of parenting. Even better, she figured out how to transform her own beliefs and patterns and reconnect to her pre-kids life. In The Kids Are in Bed, other parents can learn how to do the same, and truly enjoy the time after lights out. Acquista The Kids Are in Bed in Epub: dopo aver letto l’ebook The Kids Are in Bed di Rachel Bertsche ti invitiamo a lasciarci una Recensione qui sotto: sarà utile agli utenti che non abbiano ancora letto questo libro e che vogliano avere delle opinioni altrui. L’opinione su di un libro è molto soggettiva e per questo leggere eventuali recensioni negative non ci dovrà frenare dall’acquisto, anzi dovrà spingerci ad acquistare il libro in fretta per poter dire la nostra ed eventualmente smentire quanto commentato da altri, contribuendo ad arricchire più possibile i commenti e dare sempre più spunti di confronto al pubblico online.